At South Jersey Video Surveillance we have installed Wifi access points at businesses all over Cape May County including hospitality Wifi in Wildwood, NJ, Cape May, NJ, Stone Harbor, NJ, Avalon, NJ, Sea Isle City, NJ and Ocean City, NJ in motels. marinas, restaurants, and business since 2012. We installed Fiber Optic Wifi at The Admiral Resort in Wildwood Crest, The Nantucket Inn and Suites in Wildwood and The Athens II in North Wildwood in the summer of 2017. 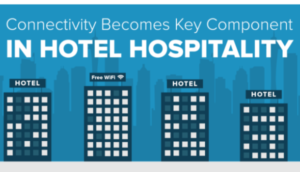 We know the #1 amenity motel guest want is great Wifi and 80% of the motels in Cape May County are still not up to today’s high demand for quality high-speed Wifi for their guest. Why? because they have an old system that was installed years ago or the last installer did a poor job in the complicated job of correctly configuring the system. We install access points throughout the property using your existing Comcast service and extend the Wifi signal to every room and area of your property. Read the testimonials from our customers! Utsch’s Marina in Cape May and many more! We are so confident that we will beat any of our competitor’s written estimate by 10% guaranteed.